LIVESTOCK EXPORT PROGRAM EXPO: 10 & 11 APRIL 2018. 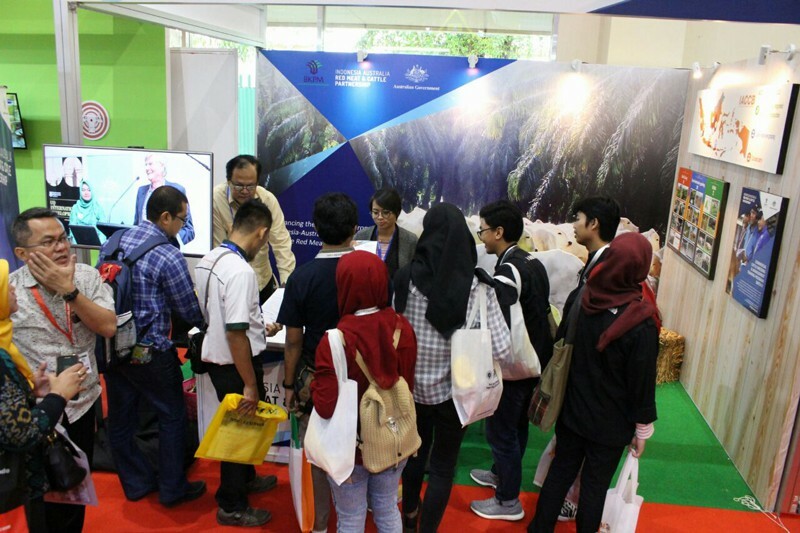 Meat and Livestock Australia’s Livestock Export Program Expo 2018 was held from 10-11 April at the Bumi Serpong Damai (BSD) in Tangerang, Indonesia. Under the theme ‘Staying Competitive in a Challenging Market with Innovation, Excellent Market Strategy and Implementation’, the event attracted more than 350 trade visitors and delegates as well as 25 exhibitors showcasing products and services from the Indonesian cattle industry. The expo was opened by Dr Fadjar Sumping Tjatur Rasa, Director of Animal Health at Indonesia’s Ministry of Agriculture, and Mr Allaster Cox, Charge d’Affaires of the Australian Embassy in Jakarta. Mr Ian Mortimer, the former Director for Indonesia, Middle East, and South Asia at Australia’s Department of Agriculture and Water Resources, presented the Partnership’s background and outlined its flagship programs. “The Partnership has a vision to combine Indonesia’s and Australia’s strengths to improve the red meat and cattle sector supply chain in Indonesia, and to promote a stable trade and investment environment between Indonesia and Australia,” Mr Mortimer said. 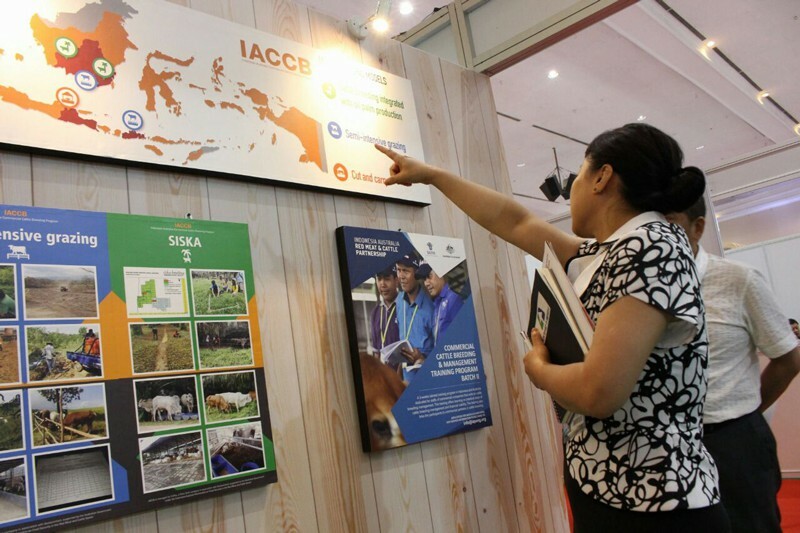 A major part of the Partnership’s presentation at the expo was the Indonesia Australia Commercial Cattle Breeding (IACCB) Program, with critical updates provided on the three breeding models that are currently being piloted with eight project partners across six Indonesian provinces. In addition to the booth presentation, the IACCB team, led by Mr Richard Slaney, highlighted the achievements and challenges of the three models: integrated cattle and oil palm production, semi-intensive grazing, and a cut-and-carry model that is specifically designed to engage smallholder farmers. At the expo, the Partnership also outlined the progress of its cornerstone initiatives on knowledge exchange. This included results and outcomes from the Skills Development Program, which features short courses backed by four Australian tertiary institutions, as well as the program’s expansion in April to include a course in commercial cattle breeding and management. Updates were also provided on the Northern Territory Cattlemen’s Association Indonesia Australia Pastoral Program, which offers hands-on training for Indonesian students at Australian cattle stations. The Government of Indonesia has made a tremendous effort to ease the industry’s transport issues by providing specialised cattle vessels to reduce the cost of sending livestock from one island to another. To support the government in ensuring good practices in the transport of cattle, especially to ensure the welfare of the animals, the Partnership has published Best Practice Guidelines for the Transport of Cattle in Indonesia. This guideline was officially launched at the Livestock Export Program Expo 2018. 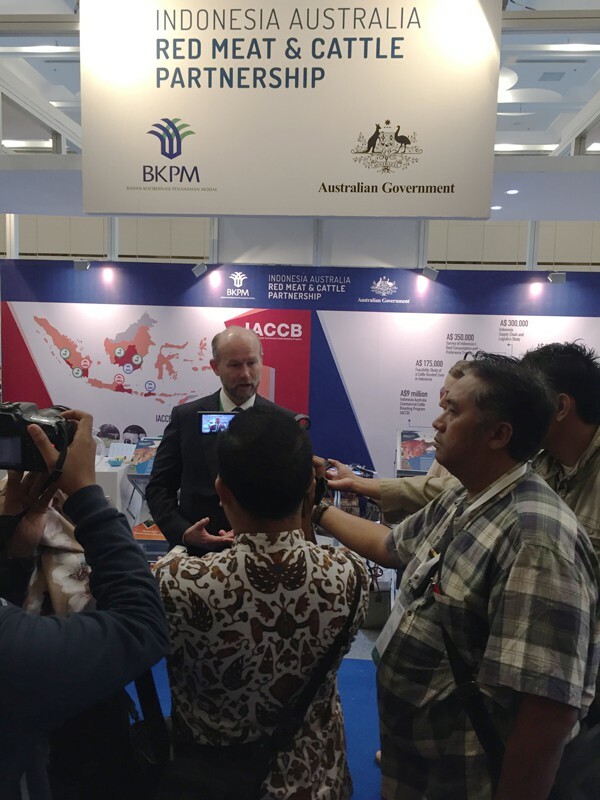 When releasing the guidelines at the exhibition, Mr Allaster Cox, Charge d’Affaires of the Australian Embassy in Jakarta, reaffirmed the Partnership’s focus on incorporating industry best practice from around the world. “Animal welfare is always a priority of the Australian Government and we’re committed, together with the Government of Indonesia, to achieving good animal welfare outcomes during the transportation of livestock,” Mr Cox said. The guidelines serve to illustrate best practices for handling cattle during transport and in the design and construction of transportation facilities. They cover all aspects of livestock transportation on land and at sea in Indonesia, from sourcing cattle to discharge at the final destination. The guidelines also include practical tools that can easily be used in the field and are relevant to both local and imported breeder or slaughter cattle. They are applicable wherever transport may occur within Indonesia and throughout the supply chain, from ports through to farms, feedlots and abattoirs, and everywhere in between. 4 to 6 July 2018. The Partnership showcased its projects and engaged with key industry players by facilitating a seminar on cattle breeding. During the seminar, delegates discussed important aspects of raising cattle, including nutrition, reproduction, and various breeding systems. Experts in animal science and animal husbandry, as well as project partners, were also invited to speak about their experiences in the Indonesian cattle industry. The expo and forum provided an opportunity for the Partnership to promote its activities under the IACCB Program, and its recently initiated training course in commercial breeding and management. On 6 July, Indonesia’s President Joko Widodo visited the exhibition, accompanied by the Minister of Agriculture, Andi Amran Sulaiman. President Widodo expressed his appreciation for the improvement in Indonesia’s livestock industry, praising the significant increase in the country’s agriculture exports, which rose 14.85 per cent from 2016 to 2017, according to the National Statistics Agency. “Our achievement goes hand in hand with the Ministry of Agriculture’s policy to make Indonesia the world’s food barn by 2045,” President Widodo said at the event. In support of the Government of Indonesia, the Partnership is committed to improving the red meat and cattle industry in Indonesia, expanding the country’s cattle population, and contributing to its long-term goals for food security. Mr George Hughes, Agriculture Counsellor at the Australian Embassy in Jakarta, outlined the Partnership’s broad support for these endeavors. “Essentially, the Partnership is trying to bring together Indonesia and Australia to work together to gain mutual benefits around enhancing the red meat and cattle sector,” Mr Hughes said. Mr Hughes added that, by participating in Indo Livestock, he hoped to raise awareness of what the Partnership is all about. “There’s a lot of potential and lots of challenges as well, but that’s okay,” he said. “We’ve got the experts coming together to make things work.